Apart from being extremely important for its vital role in provisioning water and other ecosystem services, the Greater Ulu Muda forest harbours important wildlife and biodiversity. Allowing activities such as logging or other extractive activities can have a detrimental effect on the water resources from the Greater Ulu Muda forests and the ecotourism potential. 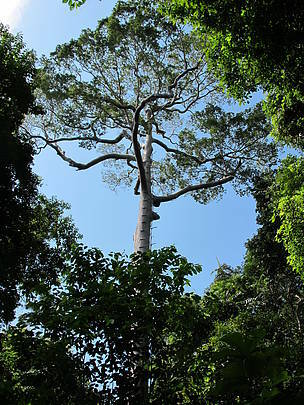 Kuala Lumpur: While the mid-term review of the 11th Malaysia Plan is being realigned to ensure shared prosperity for all, it is crucial to provide remuneration to state governments for gazetting forests as permanent reserves. The Malaysian government’s mid-term review of the 11th Malaysia Plan heralded a shift in the national concept of development, moving away from a gross domestic product (GDP)-centric focus to one more focused on inclusivity and well-being. It also retained the strong drive for green growth and environmental sustainability, positioning it as the fifth milestone and making the conservation of natural resources a priority in achieving this milestone. It is clear that green growth and environmental sustainability supports the focus on inclusivity and well-being – the natural environment supports all that we do – not only to breathe, eat and live, but also our economic activities. It is particularly important for the rural poor – supporting their livelihoods through food and materials collected from the environment. Recently, Dr Xavier Jayakumar, Minister of Water, Land and Natural Resources (KATS) stated that the federal government ‘has no intention to pay compensation to state governments which gazette forests as permanent reserves’ and that ‘it is the responsibility of the state governments to retain the forests as water catchment areas’. We must understand that forest is a public good that provides ecosystem services – a term used to recognise the importance of natural environment to human wellbeing and to our economy. One example of the ecosystem service is the reliable and clean flow of water through the Muda River, naturally treated and regulated by the ancient Ulu Muda forest in Kedah. The Muda River is a major water source for the Muda Agricultural Scheme which provides nearly 40% of Malaysia’s rice production, and the high-tech industries in Kulim High-Tech Park and the Bayan Lepas Free Industrial Zone. Disturbances to Ulu Muda forest would result in undesirable changes in the water service to these industries, increasing costs in the best case, and interrupting production in the worst case. The water provided for these industries allow for progressive economic activity in the respective states. In return, tax revenue is channelled to the federal government. On the other hand, Malaysia has experienced landslides, flash-floods and water shortages – all consequences of or exacerbated by clearing of forests. It was estimated that the 2014 floods, worsened by clear-felling of forests, cost the country approximately RM1 billion in damages across nine states, including RM204 million each for Kelantan, Pahang and Terengganu. In short, what the State protects through gazetting natural forests benefits the whole nation. However, it is challenging for states to do this without aid from the federal government. Eco-tourism, conducted in a sustainable manner, can only generate so much money, and through our constitution, states are not left with many other options to generate income apart from generating revenue through the resources on their land. WWF-Malaysia urges the federal government to consider compensating the state governments to gazette forests as permanent reserves, given the magnitude of returns to the nation from the simple investment of paying the states to protect their forest reserves and other important natural environments. It is a simple and clear solution, that supports the focus on inclusivity, wellbeing and green growth from the midterm review of the 11th Malaysia Plan.